Alan said: “After presenting the Dialogue Youth Show from 2008 onwards, which finished in 2011, I wanted to keep presenting a show on shmu (I’d got the radio bug!) 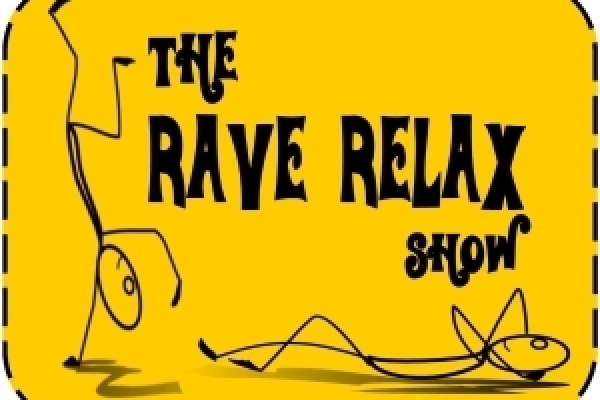 and I had an idea of combining two types of music that I really like, dance music and relaxing music, eventually thinking up that the title could be the Rave Relax Show. Initially starting with pre-recording for the Friday 12-2 slot with Phluxxy’s Friday Night Sensation on from 10-12. When Phluxxys show stopped I moved into the 10-12 slot and went back to hosting live. "My favourite features on the show are Flashback Friday, where we play three dance music tracks from that weeks chart from 25, 20 and 15 years ago, you get some absolute gems in that feature (and some turkeys) and I love doing the soundtrack pick, where we pick a relaxing song from tv, movie or video game soundtrack and we have three clues of varying difficulty for you to try and work out what show its from. A future plan is to have a monthly guest mix on the show from local DJs, so if you’re looking for a place to air a mix then get in touch with the show on facebook.com/raverelax or raverelax@shmu.org.uk." Tune into the show on shmu 99.8fm or listen online.